I can't share all of the details yet, but internally we've been referring to the upcoming changes as "Ugmonk 3.0". It feels like the next big step for Ugmonk and I'm really excited about the direction we are headed! I can't share all of the details yet, but internally we've been referring to the upcoming changes as "Ugmonk 3.0". 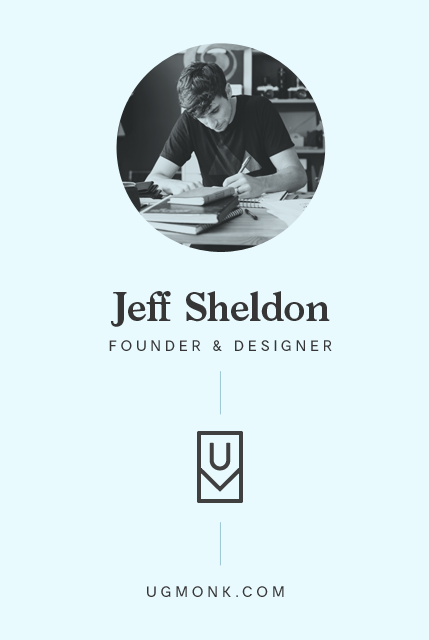 It feels like the next big step for Ugmonk and I'm really excited about the direction we are headed! I'll be sharing more in future emails. This branding work by Tad Carpenter for the Brass Onion is so fresh. The combination of typography, illustration, and color palette is perfectly executed. I had no idea the process for making rubber bands was so complicated. Pretty crazy. My friend is publishing a book called Restorative Kitchen which is all about how food can prevent and reverse chronic disease and autoimmune disorders. She has an incredible story and it's been really cool to watch their family's journey. This indoor-outdoor mid-century house is a dream. Since it's currently freezing here in PA, it also seems especially nice to think about living in a climate where this type of house is even possible. What would you like to see from Ugmonk in 2019? Reply to this email and I read every single response. P.S. Today is the last day to get Free Shipping on all Ugmonk and Gather products. Want less email from us?